Home Self Esteem 3 Reasons Why Dyslexia Affects Self Esteem. 3 Reasons Why Dyslexia Affects Self Esteem. I am in the middle of finishing my planning for my "Introduction To Parenting Dyslexic Children" (Battersea, London, 19th October at 18:00) workshop that is taking place in London next week and I just wanted to collect some of my thoughts around dyslexia and self-esteem and how that relates to the lives of children going through education. The way I see it there are three main reasons why dyslexia affects self-esteem in young people and I would like to share these with you and what we as parents can do to minimise the decline in self-esteem for our young ones. 1) Dyslexia is with a person from the start of their lives. With the exception of acquired brain trauma which can sometimes induce dyslexia, most dyslexics will have had dyslexia from the moment they are born. As you can see from the definition above it affects more than reading and writing. It affects the way that we absorb information, how we understand words and how we remember what we hear. As children are not born with a label that says 'Watch out this kids has dyslexia and might need support at school!' it is not an unreasonable assumption therefore that some children will go for years through education with it not being diagnosed and it is no surprise that those that don't understand will make assumptions about being lazy or stupid for those that have dyslexia. 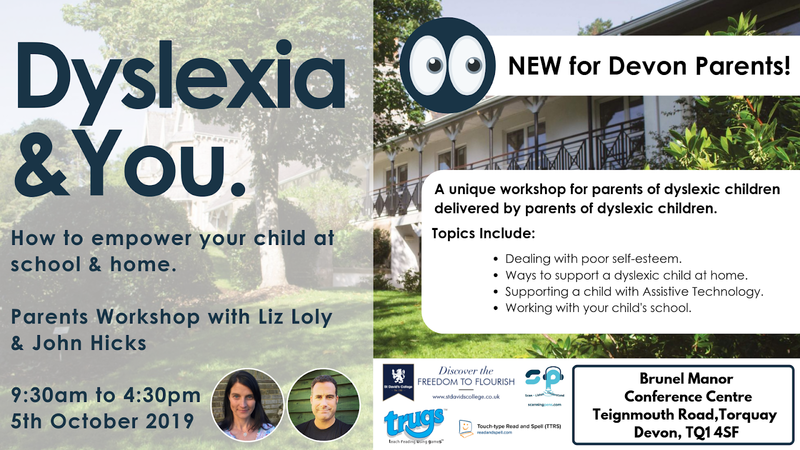 If a child, is experiencing the effects of dyslexia and they are undiagnosed they may feel like they are not as clever as their peers, their peers may be making fun of them or they might withdraw from getting involved at school for fear of showing a lack of capability. It makes my blood boil when I hear of kids that get to GCSE stage having not been diagnosed and they are under extreme pressure because they don't have a diagnosis and don't understand what is going on for themselves. It is far to easy for a child who struggles to study (due to their dyslexia) to think that they are not good enough, stupid and not deserving of their place amongst their peers. My daughter was diagnosed in year 8 (aged 12) and I so wish that we made a connection to dyslexia sooner so that she could have had more support and could understand herself better and sooner in life. If your child is telling you that they 'hate reading' , are very tired at school, not concentrating, talking too much etc etc, then just stop for a moment and think 'could this be dyslexia?' With at least 10 % of the population believed to be dyslexic, there is a 10% chance. The earlier you can test for it the more likely your child will have a more intact self esteem. 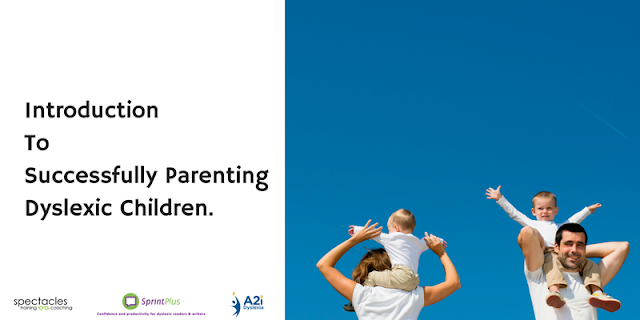 2) It can make a child withdraw from their friends. I remember at school noticing that my friends in my peer group where all reading Tolkien books such as Lord of the Rings. They were all sharing their thoughts on the story as they were all avidly reading those books. At the time, I found reading extremely tiring. I found that when I read the information didn't easily get absorbed and I often forgot what I read. So I would withdraw from that group when they were reading those big thick books together. I gave myself a bunch of different reasons why I didn't engage in that group (I so wanted to) but the reality was that I slowly moved away from being involved with my friends. I just didn't feel clever enough to take part in that group. 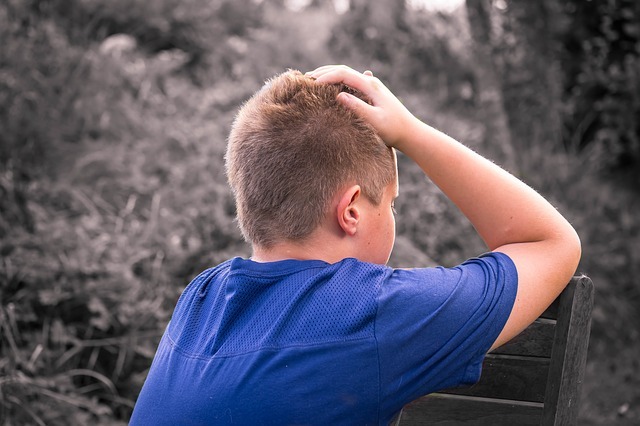 For some children, they may rely upon behavioural strategies to mask that they are struggling at school and that behaviour can cause one to exclude themselves from their peers or push them away. We all know that school bullies are people with the largest insecurities. 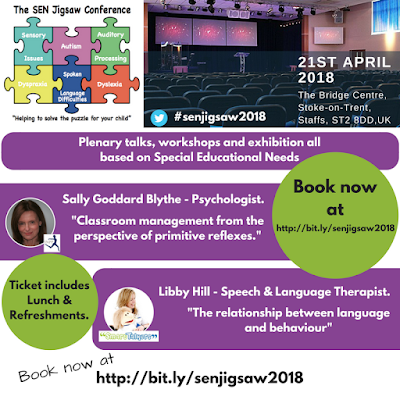 Click the banner above to book your place. I used to tell myself that my friends didn't want to be with me, but the reality was that I excluded myself because I was struggling to cope and keep up. Naturally that has a strong knock on effect on one's self esteem. If your child is showing signs of social isolation with peers it may be something to do with dyslexia and it could be worth exploring this. 3) Their work effort doesn't match up to their achievements. I have heard teachers describe how frustrated they are that a child is clearly clever but their written work is so poor. A child doing written working school with dyslexia will know what it is like to struggle to be productive enough under the their current 'prescribed' learning style. It is extremely likely that when given homework they will be more anxious about getting marked down or judged by the teacher rather than looking forward to exploring some interesting aspect of education. It is not uncommon for a dyslexic child without intervention to get to a point where they are simply expecting to get poor results. So they make the conclusion that it is not worth making the effort anymore as they are only going to get criticised for what they do wrong rather than be praised the for content that they are sharing. If a child is at a 'What's the point' stage then their self esteem has dropped and they have lost belief in themselves. They need to talk through their feelings but that's hard if they don't really understand what is happening for them. Again, if your child's academic grades are falling short of what they can demonstrate in class or creatively through course work then there is a chance that they could be dyslexic and an assessment could be useful. Thanks for reading this article. 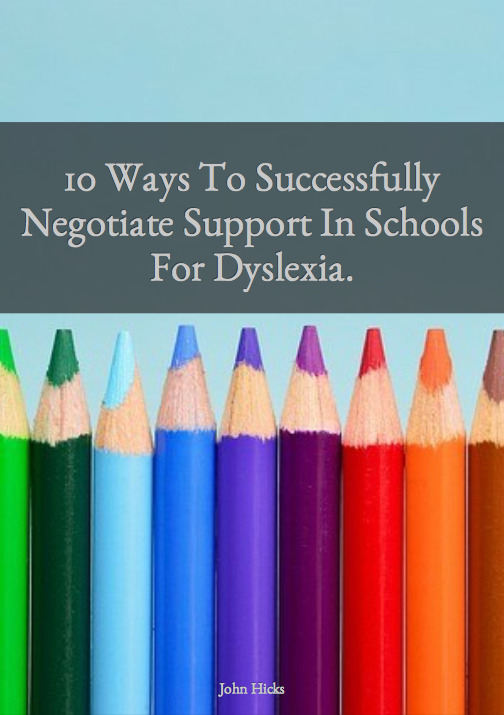 If you would like to join our Parenting Dyslexia Community to explore these issues and many more then simply subscribe below and I will also send you a copy of my new e-book , 10 Ways To Successfully Negotiate Support For Dyslexia At School.